and that's REALLY the case for the Holidays. 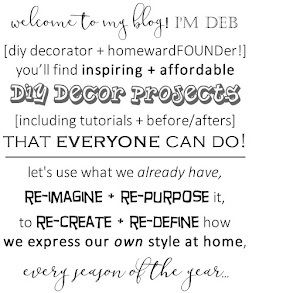 and let me tell you - making them is SO SIMPLE! 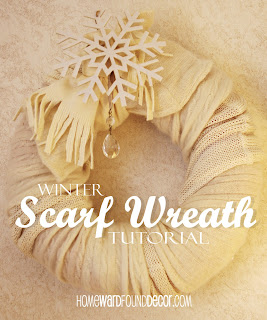 4. wrap the scarf tightly around the wreath form, pinning as you go. 5. when you get to the end, pin in place. 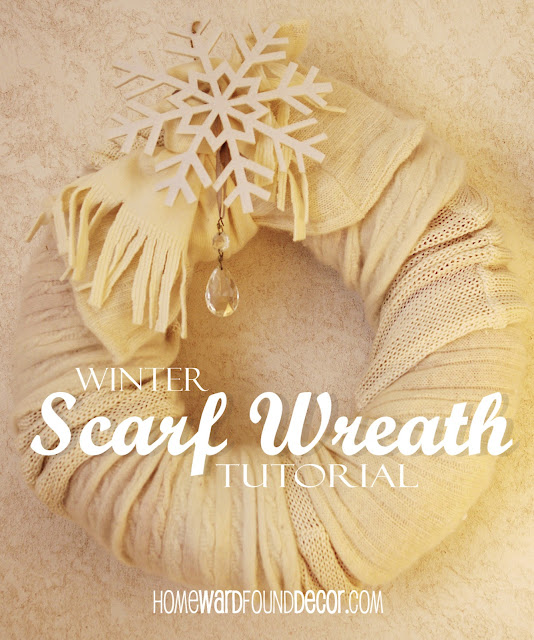 if it's a big wreath form, you'll need more scarves. 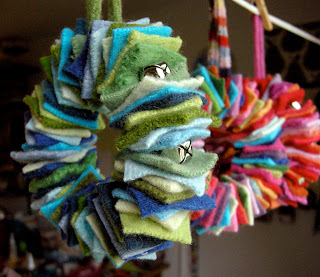 hit the dollar store or goodwill for cheap and colorful materials! 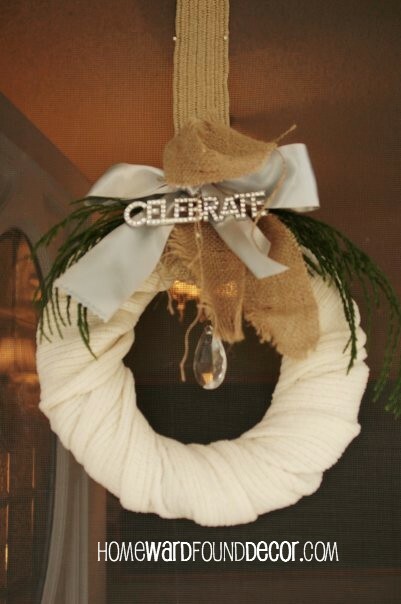 then added a bling-y 'blessing' ornament and a vintage crystal. for this one, i used a knit scarf with fun fringed ends. 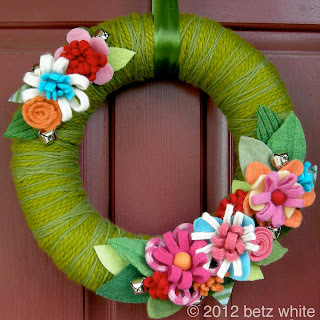 and added a vintage ribbon and a flower made from an old chenille stem. 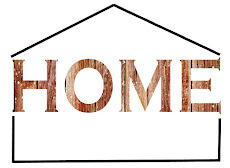 a simple piece of heavy cardstock offers a welcoming message. 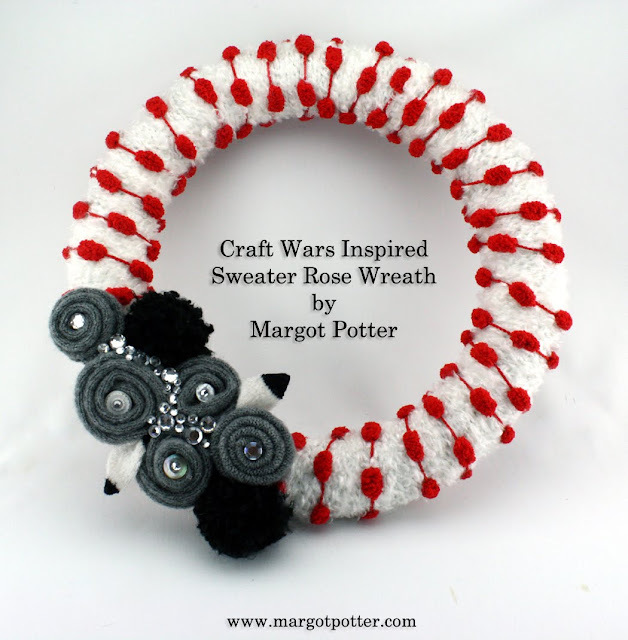 tied with a bitty 'scarf' (another remnant), and a felt snowflake ornament. mine are simple, because that's my style. 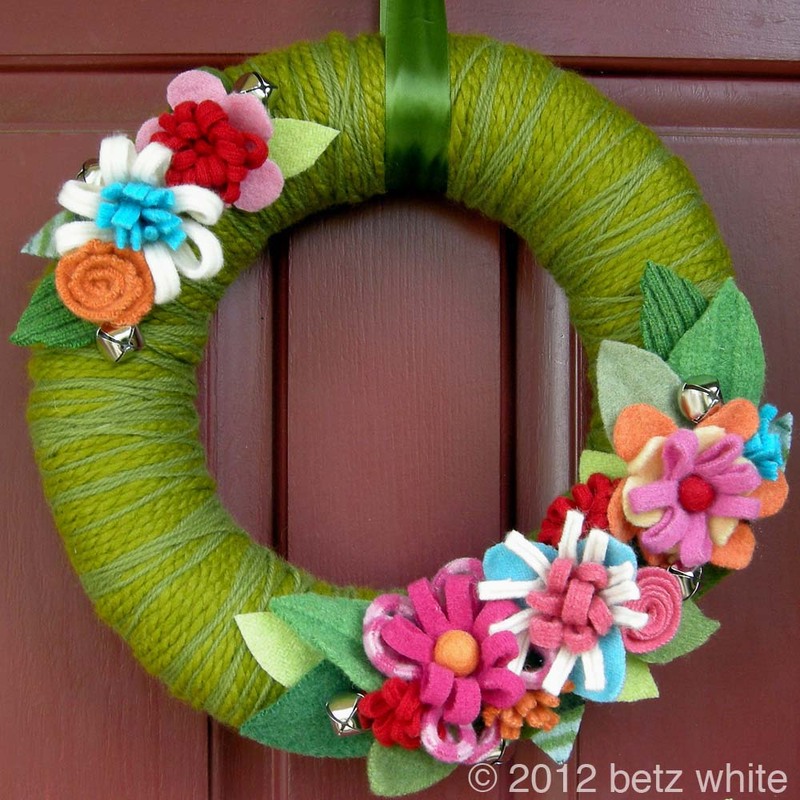 all three of these brilliant ideas are from the amazingly talented Betz White! how about this beauty from Bloomsbury Loft! 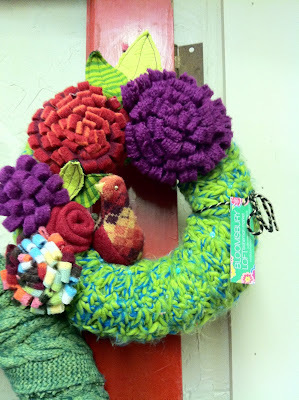 and was instantly delighted by her colorful palette and playful creations. 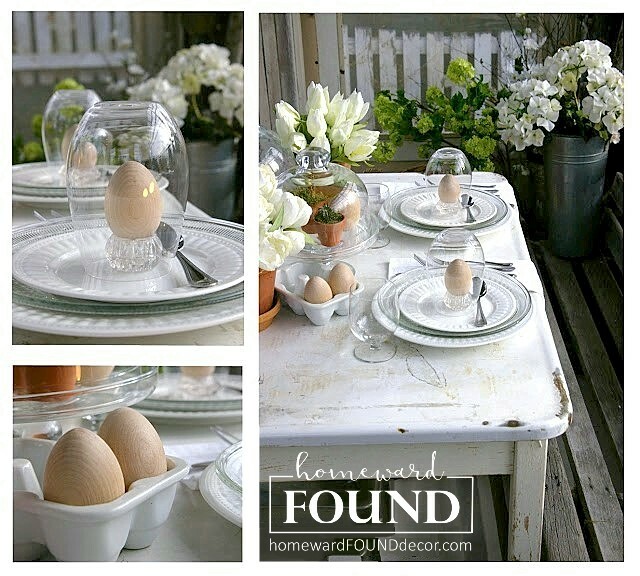 this one is from RecoverGirl - and her post is a tutorial! to make a Christmas wreath from old sweaters! 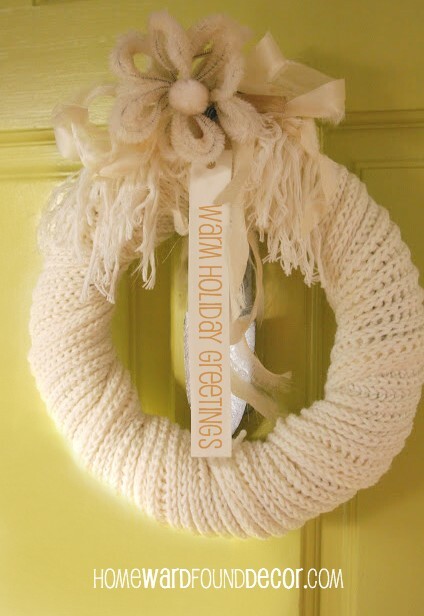 for creating this yarn-wrap wreath in a tutorial on her blog! 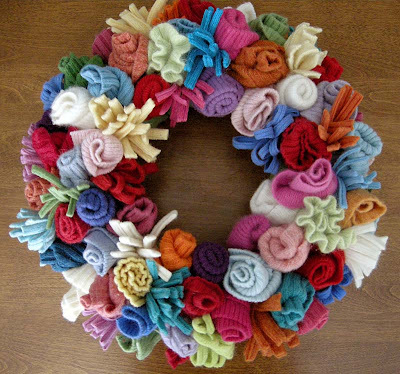 and make some colorful flowers for your knit scarf wreaths!